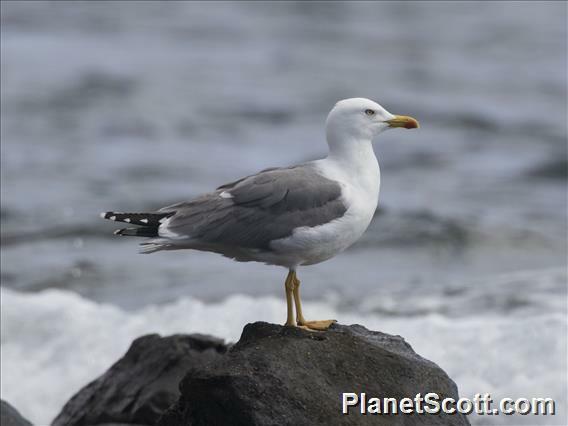 Larus michahellis can be found in Europe, the Middle East and north Africa. It is resident in much of southern Europe, on the coasts of the Mediterranean, Black Sea and Caspian Sea, on the Azores and Madeira, Portugal, and on the Canary Islands. Spain. Wintering grounds include the coast of south-west Asia (breeders from the steppes), most of the European coast up to Denmark and the coast of Africa from Western Sahara through tho the eastern Mediterranean (del Hoyo et al. 1996).